How do you explain Chassidim violating the Rebbe’s limit on drinking? How do we balance parental influences with finding our own path? Why in our prayers is mention made only of males, and not females? What can be done to preserve a marriage in which a spouse suffers from a personality disorder? 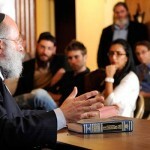 Based on the Rebbe’s emphasis on teaching the world about sheva mitzvos Bnei Noach, do Jews have an obligation to bring up the prohibition of abortion in a politically charged climate? What is the story with the book called The Bible Unauthorized by A.H. Moose? Is it legitimate? Are there lessons from the Rebbe about the recent bitter cold? Can anyone just print the Rebbe’s talks and disseminate his images? 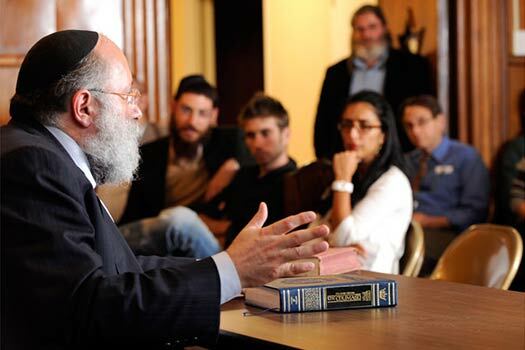 How do we assure that it’s done in a responsible manner – consistent with the Rebbe’s wishes? Chassidus question: How do you explain the idea of mokom aron ayno min ha’midah – the “space of the ark is not (included) in the dimensions (of the Holy of Holies),” i.e. did not occupy space? 8:00pm: Does Everyone Have a Soulmate? This issue the rebbe spoke about many times and very strongly. Why dont you ask why isint every chassid misbonen in a inyin in chassidus before davening? ?